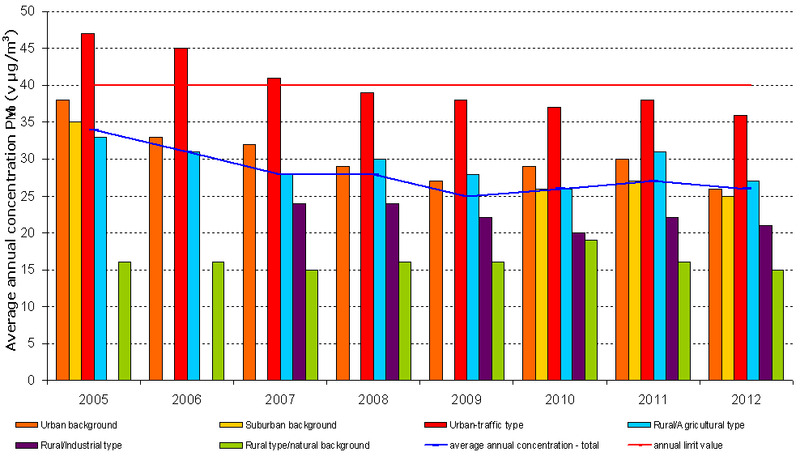 Air pollution with particulate matters is decreasing. 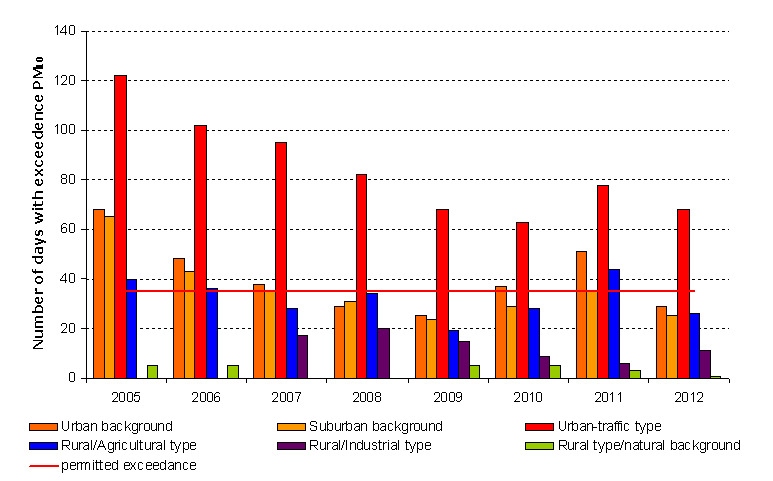 In 2012, the annual limit value for PM10 has exceeded only at one measuring point. Wather conditions and individual heating appliances (during the heating season), partly also transport, industry and re-raising and floating particles in the atmosphere. National authomatic measurement air quality network database, Environmental Agency of the Republic of Slovenia, database of complementary automated measurement networks (TE Šoštanj, TE Trbovlje, TE-TO Ljubljana, EIS Anhovo), 2013. Database of measurements of a national network for monitoring air quality, Slovenian Environment agency, 2012. Author(s): Tanja Koleša, Tanja Bolte, Mirjana Plantan, Environmental Agency of the Republic of Slovenia.